You are currently browsing the category archive for the ‘relaxation’ category. “Those two verses alone rule out much of what passes as entertainment in our world today—sexual immorality and impurity, dirty jokes and silly talk, and anything that promotes greed or undermines the giving of thanks. That list is a pretty good summary of what is wrong with much of contemporary American media. Movies, for example, are usually rated according to language, violence, sexual content, and thematic elements. Many of them are not just non-Christian, they are anti-Christian. I don’t mean that they openly attack the Christian faith. But at least in some cases they might as well. They employ filthy language and lewd humor (Colossians 3:8; Titus 2:6-8); they glorify violence rather than peace (Titus 1:7; 1 John 4:7-8); they glamorize lust and immorality rather than holiness (1 Thessalonians 4:3-5; 1 Peter 1:16); they instill feelings of discontentment and desire rather than thankfulness (Ephesians 5:20; 1 Timothy 6:6); and they promote worldviews that are antithetical to biblical Christianity (2 Corinthians 10:5). Does that mean a Christian should never watch movies? Not necessarily. But we must be discriminating about the things we allow into our minds. We are called to renew our minds (Romans 12:2; Ephesians 4:23; Colossians 3:16). When we continually fill our minds with the filth of this world, we do ourselves a great spiritual disservice. . .
. . .Movies, television, radio, video games, MP3s, and the Internet— these and other forms of mass media pervade our world. In and of themselves, these technologies are not inherently sinful. Most other forms of leisure and recreation are not inherently sinful either. In fact, fun, happiness, and joy are gifts from God. MacArthur, John, et al. Right Thinking in a World Gone Wrong: A Biblical Response to Today’s Most Controversial Issues. Eugene: Harvest House, 2009. pp. 24-25, 28. From Christian Research Service – Who’s Laughing Now? served their idols, which became a snare to them (Psalm 106:35-36). Years ago, many parents laughed when their children were introduced to Yoga, Transcendental Meditation, relaxation, and visualization techniques in the secular schools and YMCA. Many school teachers and principles shrugged their shoulders and thought the techniques would help develop calmer, better behaved students. On the job-site, professing Christians participated in company-sponsored “Stress Reduction” seminars. They laughed under their breath and refused to speak out against it–for fear of losing their jobs. Now, many companies across the nation offer Yoga, Tai Chi, Reiki, and other New Age practices as regular motivational courses for employees. Despite the complaints and concerns, many bookstore managers and officials within the “Christian bookstore” industry laughed and continued to advertise and promote books written by New Age authors. The “bottom line” (money) was more important than the spiritual welfare of the innocent and unwary. With the husband off to work, a professing Christian woman turned to a video tape and spent and hour-per-day practicing Yoga. She laughed when her three year old child watched and imitated her moves. Across the nation, and in many parts of the world, certified Yoga instructors cashed in on the booming Christian exercise craze and introduced churches and denominations to “Christian Yoga.” The postures were the same as Yoga, they said, but it had nothing to do with Hinduism. They laughed all the way to the bank. During a church-sponsored “Christian Yoga” class, an instructor began bowing to the “god” within her students, and offered the Hindu Sanskrit salutation, Namaste. The students laughed, rolled their eyes, and bowed to the instructor. Along with Hatha Yoga, a church offered a Labyrinth walk, a Buddhist Teachings and Meditation group, and Yoga for children. During the children’s Yoga class, the adults smiled and laughed when their toddlers tried to perform the Yoga postures. Average church members laughed when New Age techniques and practices were introduced during church-sponsored retreats, outings, and seminars. They sang the praises of books written by New Age authors, and passed the books around like tea and crumpets at a social event. Those who refused to laugh were encouraged to leave and find another church. Christian colleges and universities weren’t immune to the New Age Movement. Many presidents and faculty members openly welcomed Kundalini Yoga and other New Age practices as an on-and-off campus course. Students laughed as they performed the Cobra pose, the Scorpion pose, and the Corpse pose in their classes, gyms and dorms. Many pastors across the land laughed, compromised, and turned a deaf-ear to the “Stress Management” and “Christian Yoga” courses being taught in their own churches. It is just a harmless form of exercise, they said. However, some pastors stopped laughing when they noticed a change-for-the-worse in the attitude and spirituality of some of their members. In his spare time, one pastor practiced Yoga. Along with regular Yoga classes, the pastor’s church offered a gentle form of Tai Chi. The pastor’s congregation expressed an ever-present joy over his open-mindedness. Across the world, professing Christians laughed when they were warned about the spiritual, mental, and physical dangers of practicing Yoga and its demon inspired postures. In their stubborn pride they continued to purchase New Age materials and promote New Age practices to untold numbers of men, women, and children. Years ago, many laughed and brushed-off the New Age Movement as a mere fad that would eventually fade away. But behind the scenes, it slithered into every strata of our society–homes, elementary and high schools, bookstores, jobs, colleges, universities, churches, and pulpits. God expressly forbids the practice of New Age techniques and the promotion of New Age materials. —This article first appeared as a post on the DiscernIt blog, and has been revised. Ten people were shown walking the Labyrinth at the Harmony Hill Retreat Center for cancer patients. The picture I copied from the newspaper website is not the same labyrinth they showed in the actual paper. They have three you know. A cancer retreat. What would you be looking for in a retreat if you were dying of cancer? Harmony Hill is a nonprofit retreat center with its roots dating back more than 20 years when founder Gretchen Schodde first visited the area. Today the property has been developed to accommodate the various cancer retreats, private parties, yoga lessons and gardening workshops. Surrounding the buildings are gardens, trails, labyrinths and views of the Olympic Mountains and Hood Canal. Schodde lives in an apartment on the property, and absorbs the healing powers felt by retreat participants on a daily basis. Six years ago she drew heavily on those experiences when she was diagnosed with non-Hodgkin’s lymphoma. Schodde underwent treatment and was cancer free for five years, but recently had a reoccurrence. Drawing on the strength of the hundreds of cancer patients who have walked the gardens of Harmony Hill, Schodde is proof of the center’s purpose. During retreats, yoga and meditation classes are held to help manage stress, a chef prepares vegetarian meals using local organic foods and attendees break into groups facilitated by staff to discuss their experiences. I am sure this is a wonderful facility. But..if I were dying of cancer….I would not be walking a labyrinth, or doing yoga. I would be on my knees praying for strength from the Lord to sustain me for His purposes, or I would be found curled up in a chair, reading my favorite passages in Ephesians. What was curious was the reference to the church but never mentioned was the strength and courage that comes from walking with the Lord Jesus Christ. How sad….people at this retreat are possibly facing death……and they seek to walk a labyrinth for healing and comfort. For the idols have spoken vanity, and the diviners have seen a lie, and have told false dreams; they comfort in vain; therefore they went their way as a flock, they were troubled, because there was not a shepherd. A reader informed me of a new danger in the health field, Network Chiropractic or Network Spinal Analysis. NSA has evolved from chiropractic and it has some mystical new twists. The spine is now considered “a conduit of consciousness”. NSA was developed by Dr. Donald Epstein, a chiropractor from Colorado. Apparently Dr. Epstein discovered “Spinal Gateways” (hmm…chakras maybe?) running along the spinal cord. Also he discovered that these gateways run from the tailbone up to the bottom of the skull. What else did he discover? He found that the spinal gateways lead to the front part of the brain awakening the brain’s cortex causing profound changes in the body. Sounds like kundalini serpent power running up the spine through the chakras and enlightenment to me…!! During Network Spinal Analysis™ (NSA) care two “healing waves” develop which are unique to Network. One is a breathing wave that releases tension throughout the spine and body and relaxes a person. The other is called a somatopsychic (or body-mind) wave, which is associated with a dolphin type undulation or movement of the spine. These waves are related to a significant increase in wellness and quality of life. Once people experience these Network “healing” waves, they tend to make healthier choices. Suddenly the exercise, diet, supplements, meditation or prayer that may have been resulting in minimal wellness benefits increased in effectiveness. Saying it differently, people in Network care, who experience these waves often double their perceived wellness. As these “healing waves” progress along a person’s spine it revitalizes, energizes, and helps the body to self correct distortions of alignment and posture. They move “stuck energy” and are a resource of new energy and vitality. Vertebra of the spine spontaneously realign as one of the by products. This video is named Riding the Kundalini Dragon and it shows how the energy is being directed through the body and its effect. The video is not from a network chiropractor but a yoga studio. They are calling this procedure Breath and Touch which serves as an entry point into an altered state in which the mind-body system processes and releases the stress or emotional blocks. While watching a short video from a Network Chiropractor in San Diego i noticed that the body movement of the patient was exactly the same as those in the yoga studio video. I do not know how to embed this video so please click on the below link to compare with the above video. The rippling effect of the body is also the same as those under kundalini serpent power. These kundalini manifestations are now being relabeled as “healing waves”. This healing is not of God…is this healing worth the risk? I scanned various NAS websites, and the names sounded like this…The New Wave Chiropractic, Ride the River, Esprit Healing Center, Care Wave, Healing Wave…..These offices are sporting a new look, a new name and carry a dangerous spiritual message. Here is a list of awakened kundalini manifestations from Swami Nityananda (Kundalini Yoga Guru) : trembling, shaking, uncontrolled speaking, weeping/crying, uncontrollable laughing, altered consciousness, elation, feelings of electricity….waves of bliss. Now i want to relate a list of manifestations from the Pensacola/Toronto outbreaks. Spasms, tremors, shaking, spontaneous trance states, holy laughter, energy rushes, and involuntary body movements. When reading about Network Chiropractic from the EastWestHealth website i read some interesting statements from a patient and a chiropractor. Dr. Epstein has something in common with Rodney Howard-Brown, Benny Hinn and Swami Nityanada; they are all distributors of the power: (kundalini, shakti, fire, anointing) Kundalini awakening can be imparted by…light touch on the body or forehead, by pointing to someone, or just laying one’s hands on someone. There are many obvious relationships between Network Chiropractic, Yoga, Eastern Mysticism, and the false spiritual anointings of today. When we see a chiropractor merely point to a patient, who then starts manifesting with kundalini signs, we need to question where this power is coming from and what is actually happening to the patient. When a doctor or a patient will not question why a second patient automatically manifests without being touched or refers to the undulating spine as “unwinding” from stress….i despair at the deception. This power is demonic because it is metaphysical in nature, so it is unbiblical for the Christian to participate in this type of activity. It is imperative to understand that the Hindu term kundalini translates into “serpent power”. Meditation and yoga positions pushes this power at the base of the spine up working its way snake-like, through the chakras or gateways. In Network Chiropractic the chiropractor has attained the ability to pass this serpent power onto others with only a simple touch. I cannot begin to tell you how dangerous this is. Patients who are treated by a Network Chiropractor are in danger of allowing a demonic presence to enter their body. The “waves of bliss” are deceptive. Satan does not show himself as a demon, he shows himself as an angel of light, deceiving all who will fall into his false spiritual trap. May the Lord protect his own who may unknowlingly walk into one of these offices for treatment. I have no problem with getting standard adjustments, but whenever a health practitioner begins to talk “spiritually”… immediately question the procedures. The above DVD is a look into the unbiblical practice of Yoga in the Church. A friend suggested watching this DVD produced by Caryl Matrisiana. I received it and let me tell you, you need to watch it. The video starts with the ’60s and the Beatles and how they introduced millions of young people to the drug culture, TM, and so started the dawning of the Age of Aquarius. There really is too much to describe in this eye-opening DVD so you need to order it. When you do, share it with others and maybe ask your pastor if you can show it in your church. So if you are wondering if yoga can be mixed with Christianity or if yoga can truly be separated from Hindu philosophy, this DVD will provide all the answers. PS the answer is a definite NO but order the video anyway. Should Christians practice Yoga? NO!! Okay bye…..
Hey wait! .. Don’t you want to know why? You should, and this information involves all who may be participating in this Eastern religion. Religion? Yes, Yoga is Hinduism. Now you are going to argue…”NO, I do Yoga to relieve stress and for relaxation”. Or how about this, “I only hold the positions for exercise and to increase my body strength”. Did you know that the Sun Salutation is worship to a sun goddess? Okay let’s talk. Well… if you will read this for a few minutes, I would be extremely pleased. Yoga means “union” in Sanskrit. Union with what? You will find the true answer to this a bit later. Yoga theory teaches that everything is divine and the goal is to reach union with Brahman, your higher self, God, or the universe, depending on what they are trying to sell you. The practice of Yoga, the positions and breathing prepares the body for the occult changes that will arouse the coiled power (Kundalini) at the base of spine. This power can travel up the spine passing through the Chakras to the top of your head (Crown Chakra). It is the ultimate goal for the Kundalini (Serpent Power) to reach the brain. 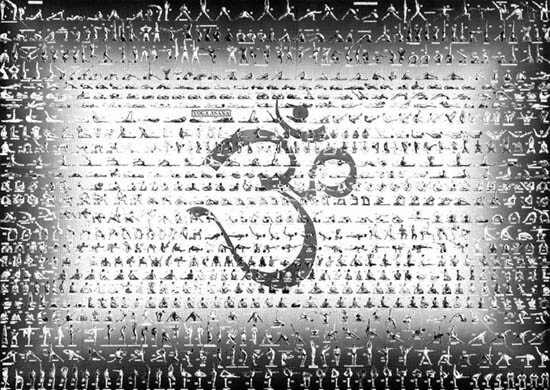 The “OM” which is repeated over and over again is to empty the mind of thought so that a new spirit can enter. These hot currents that reach the brain center heat the brain, make the mind fickle, bring insomnia, brain disorder, insanity and incurable diseases. For the hot currents keep the mind wide awake and if a person does not know how to check the currents and to bring down the partly risen kundalini shakti to safer centers, one suffers terribly and it may ruin the whole life of a person or lead one to insanity. This is why we see many become insane, many get brain defects, and many others get some incurable diseases after deep sorrow. It was variable for many years, painful, obsessive, even fantasmic. I have passed through almost all the stages of different mediumistic, psychotic, and other types of mind; for some time I was hovering between sanity and insanity. Even though one may desire only the physical or exercise of yoga, you can see how dangerous a practice it really is. The above kundalini symptoms are the extreme, this is duly noted, but nevertheless, many have noted a change of worldview, or a darkness that follows them because of their involvement into the occult spiritual realm. A commercial on TV shows a woman in a lotus position calmly looking at the ocean, and you may desire the relaxation but the truth is, (and the trainers don’t want you to know this), the problems can be overpowering. Consider some of these other manifestations. Fear, uncontrollable laughing or weeping, intervals of ecstasy, tremors, spasms, and violent shaking. The guru can often impart these manifestations in mass, to his students, leaving them writhing on the floor helpless. 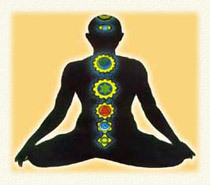 New-Age techniques almost always involve some form of meditation that is to bring you into a state of peace, enlightenment, open the door of physic knowledge, and can bring extraordinary power. But this power is an illusion of self-grandeur, it is occult, and very dangerous because the spirit you invite into your mind, is a demon or fallen angel. Remember the earlier question of what “union” means in Yoga? You are NOT uniting with a higher-spirit, an ascended master or a spirit-guide, you are uniting with a counterfeit spirit who is delighted to deceive you into thinking it a positive force but in truth is demonic. Christians need to know that we are not to delve into the spirit world. In Yoga the self is God… In Christianity one denies self……… Choose now. 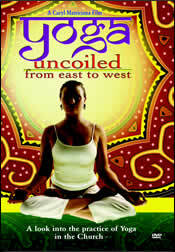 Please read Yoga Uncoiled which tells you of a great DVD about Yoga.